Malia Stirling’s sound may best be described as folk-pop, however it is her unique, rich vocals that set her apart. 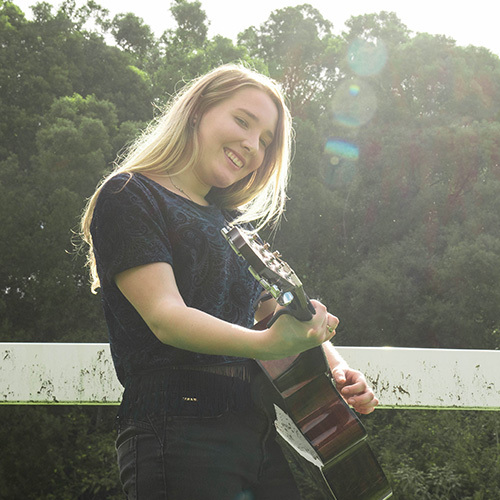 Influenced by the likes of Missy Higgins, Matt Corby and Kate Miller-Heidke, Malia composes her own original music and recreates hit songs from the 80’s to now. For the past 4 years she has been playing at numerous restaurants, venues and events across the Sunshine Coast. Currently, she studies at the Queensland Conservatorium on the Gold Coast; furthering her journey by widening her horizons and honing her skill. Now with a supporting band in tow, her sound has unleashed its potential and will make your heart move and your body groove. Powered by the Queensland Conservatorium Griffith University.